Love Life at Buena La Vista Apartment Homes. 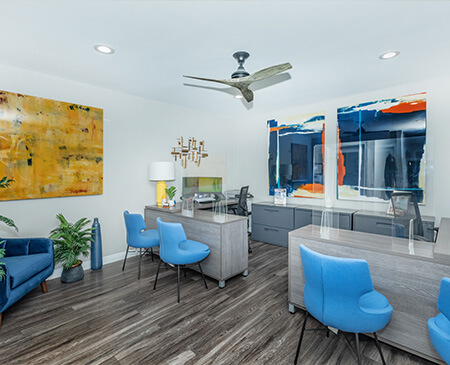 Welcome home to Buena La Vista Apartment Homes, a quaint community perfectly situated in the heart of Buena Park, California, featuring one and two bedroom apartments and two bedroom townhomes, specifically designed with your comfort and convenience in mind. Each apartment home includes one assigned carport with overhead storage, along with having ample open parking throughout the community for a second vehicle. Some apartment homes even feature hardwood-style flooring, walk-in closets, ceiling fans, and private patios. Buena La Vista offers an array of amenities, including our two refreshing swimming pools, a beautiful sundeck, three 24-Hour laundry care centers, relaxing shaded seating areas, and multiple gas BBQ islands throughout our three picturesque courtyards. 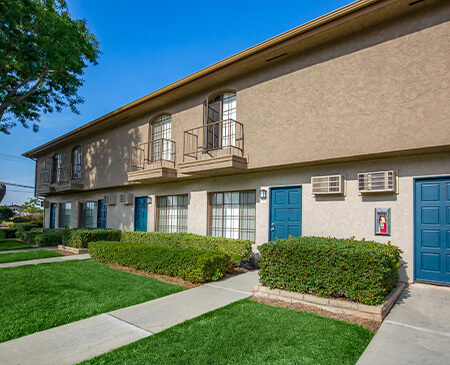 Our wonderful community is pet-friendly and conveniently located within minutes of the 5, 57, and 91 Freeways, allowing for an easy commute to Los Angeles and other parts of Orange County or even Cypress College. Enjoy easy access to shopping, dining, and entertainment at Knott’s Berry Farm, Knott’s Soak City, Disneyland Resort, Buena Park Downtown, and the Buena Park Community Center, which features exciting activities and experiences throughout the year. At Buena La Vista Apartment Homes, you will experience unmatched service, comfort, and a strong sense of community. Come home today and start living life the way you should! Until then, browse our photo gallery and schedule a tour today to see one of the best-kept secrets in Buena Park!